Remember when it was smooth? 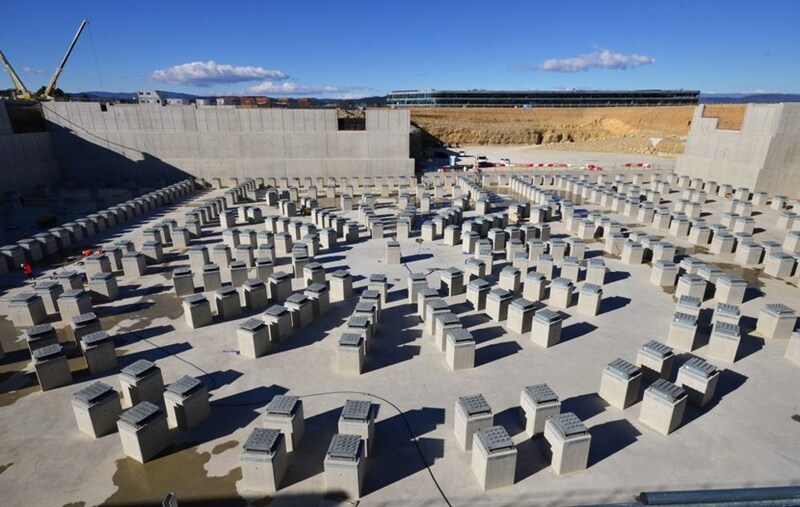 The 42-hectare ITER platform used to be as smooth and as flat as a billiard table. These days it's hard to find a clear patch. Site adaptation activities (modified entrances and roadworks), digging and pipe-laying for critical networks and galleries, portable office construction, and network installation for the new Contractors Area in the southwest corner of the site have resulted in deep trenches in some areas and mounds of dirt in others. The "quietest" area of the site is 15-metres below the surface in the Seismic Isolation Pit. 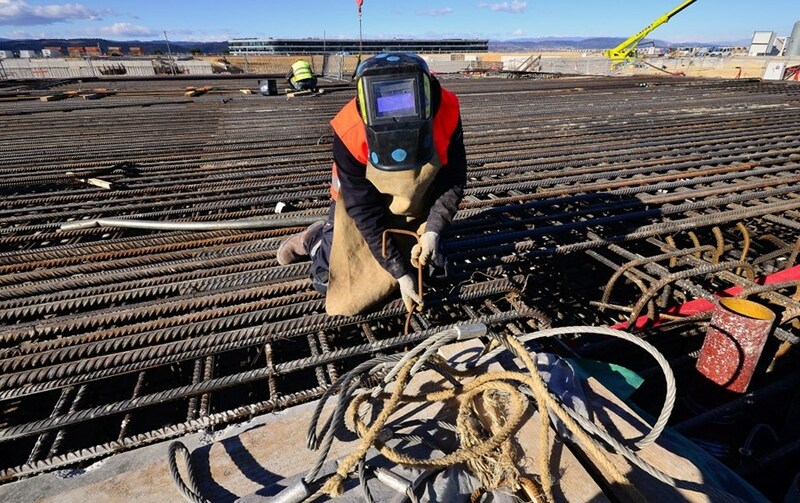 But not for long: GTM Construction will soon begin propping and formwork in preparation for concrete pouring for the B2 slab—the "upper basemat" and actual floor of the 360,000-tonne Tokamak Complex. Work progresses on the Assembly Building basemat. Two sections of structural concrete, or plots, have been poured since November and reinforcement activities are ongoing. 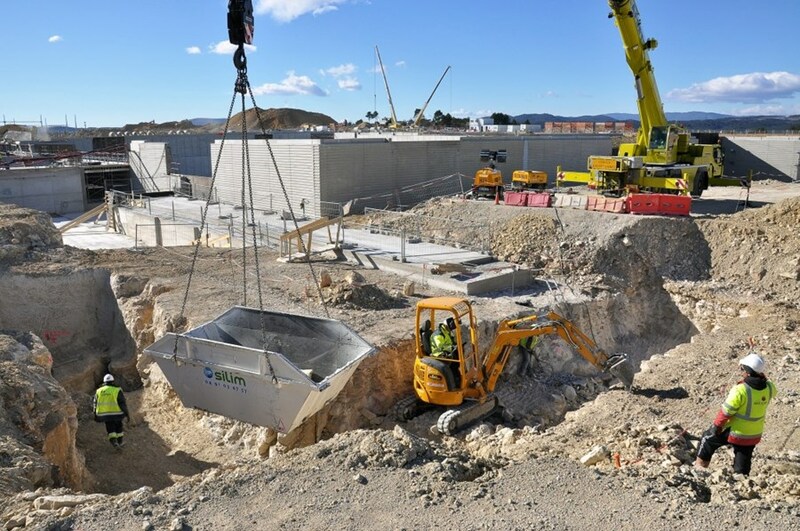 The foundations of the Assembly Building abut the retaining wall of the Tokamak Complex. The two buildings will be the tallest on the platform, rising to a height of 60 metres. 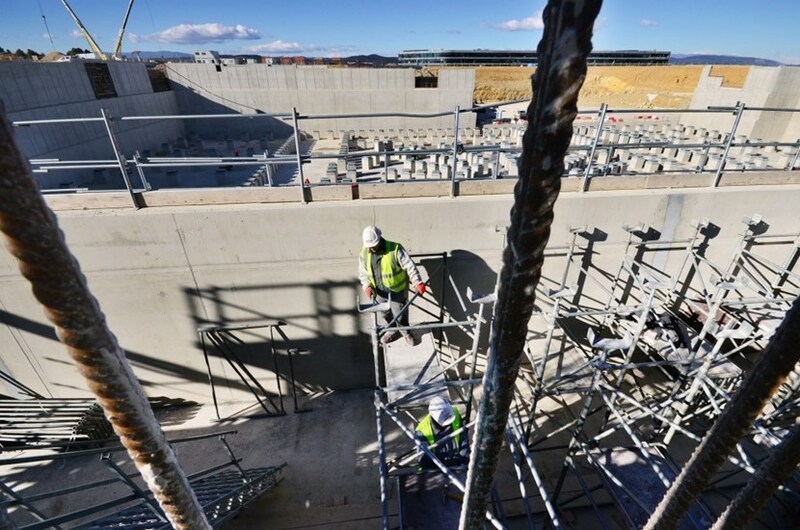 Propping and formwork will begin at the end of the month for the upper basemat of the Tokamak Pit: by late October 2013, the seismic protection system for the Tokamak Complex will be completely hidden from view. Critical network piping will crisscross the ITER site for precipitation drainage and cooling water release. 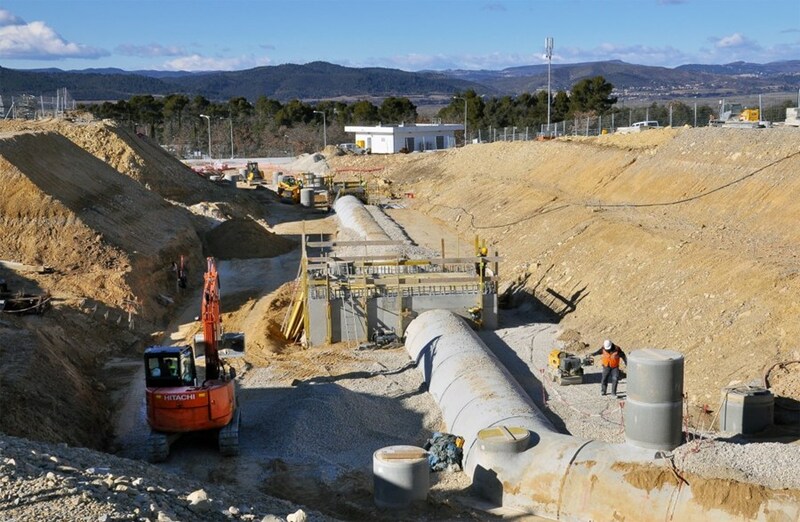 In this section of the network, the pipes have been installed and backfilling is underway.